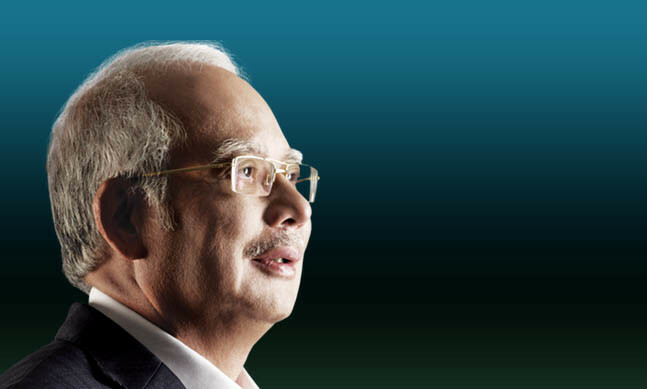 Prime Minister Datuk Seri Najib Tun Razak (pictured) has announced that a sum of RM280.25 billion will be allocated for the 2018 Budget, according to The Star. Moreover, RM83.5 million is being set aside to construct infrastructure for the first phase of the Digital Free Trade Zone (DFTZ) in Aeropolis, Kuala Lumpur International Airport (KLIA). In his Budget 2018 speech, Prime Minister Najib said that Malaysia will be the first country outside China to form a DFTZ comprising a logistic e-fulfilment hub, a satellite services hub and an e-service platform. This is in a bid to encourage growth in electronic trade, and the DFTZ will transform KLIA as the regional gateway. According to him, the first phase of DFTZ is expected to attract RM700 million worth of investment and create 2,500 job opportunities. About 1,500 SMEs will be targeted to participate in the digital economy. Additionally, the government will also be implementing the Malaysia Digital Policy, in line with the emerging Industrial Revolution 4.0 (IR 4.0) and the era of digital economy. The government will offer a matching grant worth RM245 million under the Domestic Investment Strategic Fund to upgrade smart manufacturing facilities, in order to support the IR 4.0 business and investment activities. Prime Minister Najib also announced that a futurised centre in Cyberjaya will be strengthened to become a one-stop centre for companies and universities to boost innovation and develop prototype products. Part of Malaysia’s Budget 2018 plans also includes RM100 million being assigned to expand the eRezeki (a programme for Malaysians to earn supplementary income online), eUsahawan (a digital entrepreneurship programme catered to the masses with basic business fundamentals to enhance growth via online sales) and eLadang (a new initiative to encourage farmers to leverage the latest smart farming technologies such as Internet of Things and big data analytics) programmes under the Malaysian Digital Economy Corporation (MDEC). The Malaysian government also aims to form a “conducive ecosystem” to gain benefits from innovation, especially ideas from local startups. It will also expand its regulatory sandbox approach to assist companies in testing their innovative ideas and business models, which will be implemented by all related regulators. According to Datuk Yasmin Mahmood, CEO, MDEC, the digital economy continues to be a main driver of growth for Malaysia, contributing approximately 18.2% of the country’s GDP in 2017. It is expected to surpass the estimated target of 20% earlier than 2020. The RM100 million will ensure the digital economy continues to be inclusive for the well-being of the rakyat (citizens) and that about 150,000 rakyat are estimated to be trained in 2018. “Artificial intelligence (AI) is a natural progression from data analytics, and as such, Malaysia should start looking at developing a national AI framework. This will then be an expansion of the national big data analytics framework,” Mahmood said. She added that AI is the “game changer” for IR 4.0 and DFTZ will see the country’s SMEs doubling exports and create 60,000 jobs within Malaysia by 2025. Matteo Sutto, senior vice president of Growth, iPrice Group added that the company hopes to see further influx of funds for e-commerce startups in Malaysia. This to make available a greater number of products and services for consumers in the country and across Southeast Asia. “ Tracing the successes of more developed e-commerce in countries such as Taiwan and Singapore, Malaysia’s digital sector is at the brink of accelerated growth and we believe the investments announced at Budget 2018 would be a key catalyst to maximise the full potential of the futuristic economy,” he said. SMEs should not be left behind by the wave of progress. “Given that the economy is largely made up of SMEs, our progress towards becoming a digital economy will be hampered if they lag behind,” Chai said.He added that measures under Budget 2018 will enable Malaysian manufacturers to be better positioned to capitalise on the upcoming opportunities brought upon by digitisation. The combination of tax reliefs and grant allocation of smart manufacturing facilities will incentivise more manufacturers to adopt new technologies such as automation, big data analytics and robotics. Chuljin Yoon, COO of 11street, said that the support allocated to SMEs will continue to empower the sector’s growth locally and globally, driving greater cross-border trading opportunities which are a key component in propelling the local e-commerce market. Yoon also noted the other initiatives in place to help drive the adoption of e-commerce among SMEs, such as the recent DesaMall project by Malaysia’s Ministry of Rural and Regional Development in partnership with 11street. The project provides entrepreneurs with a comprehensive e-commerce training development programme to improve their skills. Adding on to the discussion is Christopher Ong, MD, DHL Express Malaysia and Brunei, who said that the RM83.5 million allocated for the first phase of the DFTZ serves as a “great opportunity” for SMEs to expand abroad and tap into regional markets, as well as create strategic partnerships with key organisations such as international trade facilitators. Goh Chee Hoh, MD of Trend Micro Malaysia said that measures to strengthen Malaysia’s commitment to DFTZ will further invigorate the country’s e-commerce industry, enabling local businesses to capitalise on the opportunities from the internet economy and cross border activities. However, Goh noted that with more Malaysian businesses shifting to online and digital platforms, their exposure to vulnerabilities remain omnipresent. This is due to the high amount of data generated and shared among partners, customers and companies. “Businesses and the public alike must continue to be aware of the evolving security threats, especially in light of an increase in worldwide ransomware attacks. Hence, balancing the opportunities of potential market growth while keeping security issues in check becomes more important than ever,” he said. Tervinderjit Singh, research VP at Gartner, said the upgrading of smart manufacturing facilities and the futurised centre in Cyberjaya reflect the Malaysian government’s sustained commitment to invest and support the industry as it continues to progress to the next level. Gartner is forecasting a 6% growth in technology spending for 2018, putting Malaysia ahead of most Asia Pacific countries. “With the initiatives announced in Budget 2018, Gartner is confident that Malaysia is on the right track towards become a fully digitised nation,” Singh said.